"Somewhat bizarrely, the five course winners between 1997 and 2005 were all up with the pace throughout – within two of the lead and inside the top-four – but the last four course winners have trailed by at least six strokes at halfway so wining from off the pace is perfectly possible." This is only the fourth edition of the Maybank Championship. It doesn't directly replace the now defunct Malaysian Open but I suspect this event wouldn't exist if the Malaysian Open still did. After the 2015 renewal of the Malaysian Open, the Malaysian Golf Association was adamant that the event would be staged again in 2016, despite the withdrawal of the sponsors, Maybank, but it didn't. The event had been a fairly longstanding tournament, co-sanctioned by the European and Asian Tours since 1999, so many were keen to see it continue but despite assurances, the Malaysian Open disappeared from the schedule, to be seemingly replaced by the awkwardly named, Maybank Championship Malaysia. That name didn't read well, and Malaysia was sensibly dropped from the title two years ago. The first staging of the Maybank Championship was at the Royal Selangor Golf Club but we return to the Saujana Golf and Country Club again this year for the third renewal in-a-row. Last year's renewal immediately followed the Dubai Desert Classic in the first week of February so the tournaments been moved back in the schedule. There are two courses at the Saujana Golf and Country Club - the Bunga Reya and the Palm Course - and the tournament is staged on the Palm Course, which is nicknamed The Cobra. The Palm Course was designed by Ron Fream and built in 1986. It's set on an old, palm oil plantation and it's a hilly track framed by tall Palm trees. The Bermuda fairways are fairly generous, very undulating and fast and the Tif Eagle Bermuda greens are small, grainy, tricky to read and expected to run at around 10.5. According to the European Tour site, the greens have been rebuilt since last year's edition and water is in play on seven holes. In addition to the last two renewals of this event, the Palm Course hosted the aforementioned Malaysian Open in 1997, 1999, 2001, 2004, 2005, 2007 and 2009 (winners listed below) so while it's a bit old now, we do have some additional form to look at. It's not a long or especially difficult test and scoring is always low here. Live on Sky Sports all four days, starting 03:30 UK time on Thursday. What Will it Take to Win the Maybank Championship? Although the course is tree-lined the fairways are fairly generous and driving accuracy isn't a key stat. Nobody inside the top-ten places ranked any better than 15th for Driving Accuracy last year and in 2017, a year before he won the title here, Shubhankar Sharma, who finished tied for ninth, ranked second for DA, but nobody else in the top-ten ranked inside the top-20 for Driving Accuracy. In fact, given the first three ranked for Driving Distance finished inside the top ten last year - Ryan Fox, Nino Bertasio and Berry Henson - we should arguably favour length over accuracy stats wise but neither driving metric appears worth worrying about given Sharma ranked 51st for Driving Distance last year and the 2017 winner, Fabrizio Zanotti, only ranked 50th for DD. What happens after the drive is of more importance. At last year's renewal, five of the top-ten ranked inside the top-ten for Greens In Regulation and the first three home ranked tied fifth, fourth and tied fifth for GIR. It was a similar story in 2017 when three players in the top-ten ranked inside the top-ten for Greens In Regulation but understandably, given how small the greens are, Scrambling is also a key stat. 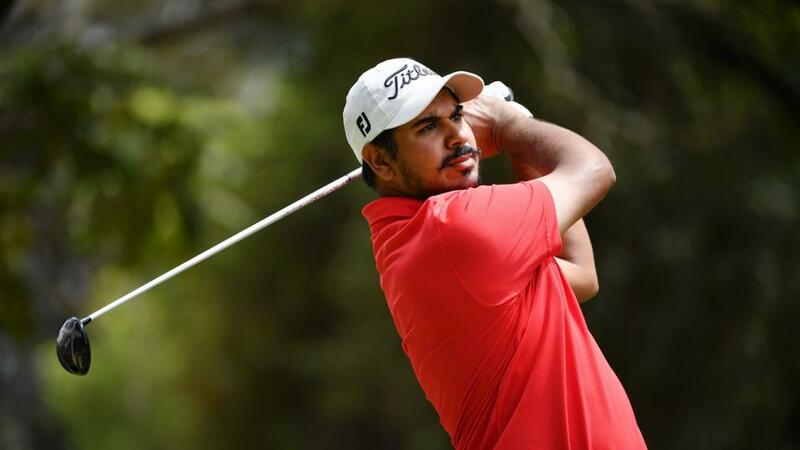 Sharma played some ridiculous golf last year, he shot a ten-under-par 62 in windy conditions to win by a couple from four adrift through three rounds, but he only ranked 57th for Scrambling. Given he ranked fifth for GIR he clearly didn't miss many anyway so that could be a bit misleading and I'd still rank Scrambling as a very important stat. The two players to rank first and second for Scrambling last year - Max Kieffer and Paul Peterson - both finished tied for 11th and Zanotti ranked number one two years ago when he won. And three of the first four home ranked inside the top-six for that stat. Sharma ranked 21st for Putting Average and Zanotti only 30th so it's more about setting up lots and lots of chances and taking your fair share. These grainy greens are tough to putt on and everyone's going to miss their fair share. Sharma's lost his way of late but he still managed to finish sixth in the Hong Kong Open in November (his best result on the European Tour since his win here) and the runner-up two years ago, David Lipsky, plays Fanling, the home of the Hong Kong Open, really well too. I always take a good look at form at Crans-sur-Sierre in Switzerland before the Honk Kong Open so it makes sense to check form out there too and lo and behold, that works out even better than Hong Kong. Zanotti finished third at the European Masters after winning this in 2017, Lipsky won it in 2014 and 12 months later, Willett took the title in 2015. We maybe heading for Malaysia but the place to start for a form guide appears to be Switzerland. It's hard to know what to expect here. Course winners Lee Westwood, Vijay Singh and Thongchai Jaidee need no introduction and the likes of Henrik Stenson, Miguel Angel Jimenez, Paul McGinley, Padraig Harrington, Thomas Levet, Alex Cejka and Shaun Micheel have all been placed here so it's a venue where the cream has risen to the top but Anthony Kang was one of the most unexpected winners on the European Tour in 2009 and the two winners of this event here have been outsiders too. Sharma was a well-backed [50.0] chance 12 months ago, having been matched at [80.0] at the beginning of the week, and Zanotti was a [400.0] shot two years ago. The runner-up last year, Jorge Campillo, began the final day tied for the lead and he eagled the first to hit a low of [2.24] but he couldn't live with Sharma after that and it was a pretty straightforward win, with the Indian being the only player to trade at odd-on but there was plenty of drama in 2017. 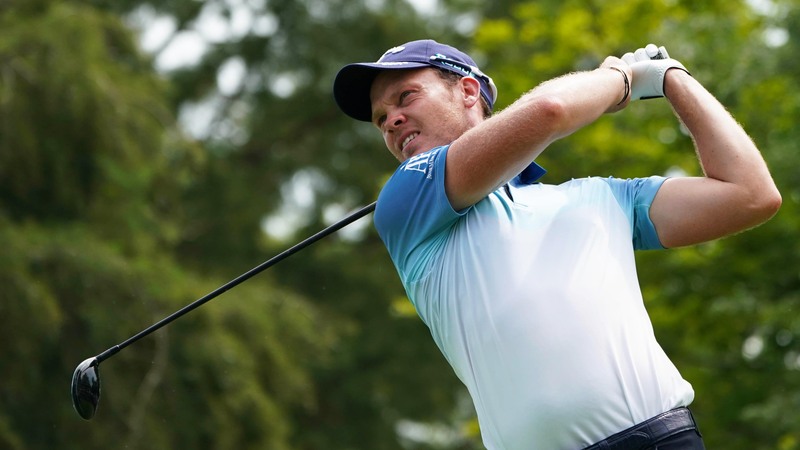 Willett and Lipsky were both matched at [1.5] in-running and the halfway leader, Wiesberger, who eventually finished third, was matched at just [2.56] as early as Friday. Zanotti had a very late tee-time in 2017 but Sharma was drawn early on day one and that's a big advantage. There's nearly always afternoon storms here and an early start on Thursday can be a big plus. Not only do the early starters get to play the course at its pristine best on day one, they also get to finish up their first rounds and avoid any afternoon weather delays - should there be any. Storms gather from nowhere in Malaysia, and usually in the afternoons, so we might get a stoppage or two. In the now defunct Malaysian Open, the five winners between 2010 and 2014 were all drawn in the morning on day one and when Thongchai Jaidee won the Malaysian Open wire-to-wire in 2005, to successfully defend the title, five of the first six on the first round leaderboard had - had an early tee time on Thursday. The last two holes (par four 17th and par five 18th) are two of the easiest on the layout so a birdie-birdie finish isn't out of the question and clubhouse leaders might just be more vulnerable than they usually are. Somewhat bizarrely, the five course winners between 1997 and 2005 were all up with the pace throughout - within two of the lead and inside the top-four - but the last four course winners have trailed by at least six strokes at halfway so wining from off the pace is perfectly possible. There's quite a big pot up for grabs this week but given the tournaments place in the schedule that hasn't helped to attract the big names. Thomas Pieters heads the market but he hasn't won in getting on for three years, he missed the cut in Qatar last time out and he's never played here before so he makes no appeal and neither do any of the other market leaders. Last year's runner-up, Jorge Campillo, is still in search of his first victory on the European Tour but he's the second favourite and it's hard to muster up the enthusiasm to back Zanotti at less than [30.0] given he won here at [400.0]! I was tempted but Alexander Bjork but he has an afternoon tee-time on Thursday so I'm leaving him out too. I liked a few here and they've nearly all been assigned an early start so I've ended up backing four. I like Joe Dyer's each-way fancy, Fanling winner, Aaron Rai, who he makes a great case for here, and I've given my reasoning for Gaganjeet Bhullar in the each-way column too. Austria's Matthias Schwab is a terrific scrambler at a juicy price. The 24-year-old is yet to get off the mark on the European Tour but I don't suspect it'll be too much longer before he does and this venue looks perfect for him. Schwab was ninth in Hong Kong in December. Thai veteran, Thongchai Jaidee, has already won here so clearly loves the venue and he's just been showing signs of life of late. I thought he too was too big at a triple-figure price. I'll be back shortly with my Valspar Championship preview.